Preserved within the great polar ice sheets in an exquisite record of the earth’s global climate extending back thousands of years. Within them lie concentrations of oxygen isotopes, carbon dioxide and other gases present in ancient atmospheres, the acids from numerous volcanic eruptions, evidence of storms that raged around the world, and other traces of global climate change deposited during the span of human existence. Searching for clues to the earth’s climate record through the analysis of ancient polar ice was a revolutionary idea when first proposed in 1954. Today, it is a basic tenet of global climate research showing a strong relationship between climate and the chemical composition of the atmosphere. In addition to providing the scientific community with a fundamental understanding of climate on earth, the data from polar ice studies is used in virtually all reports about global warming to emphasize the potential for atmospheric pollution to adversely affect global climate. The three scientists most responsible for the scientific imagination, long-term vision, and wisdom that led to this breakthrough in understanding the earth’s system are honored for their scientific accomplishments with the year’s Tyler Prize for Environmental Achievement. Taken together, the work of these three scientists has revolutionized scientific knowledge of how the temperature and composition of the atmosphere have changed over the past 150,000 years. By drilling into the ice caps of Greenland and Antarctica, and by analyzing the chemical and isotopic composition of the ice and of air-bubbles trapped in the ice, they have shown that the succession of glacial and interglacial ages that dominates the climatic history of the earth over the past 150,000 years involves substantial changes in carbon dioxide and methane. This discovery has launched a major international research effort to understand the mechanisms by which these atmospheric changes are linked to changes in the land surface and particularly to changes in ocean circulation and chemistry. 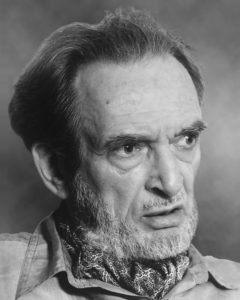 “I believe that a few hot summers would not have been sufficient to raise the global climate changes as a central scientific issue, had it not been for the ice core evidence provided by these scientists,” said Dr. Edwin Boyle, Professor of Earth, Atmospheric and Planetary Sciences at the Massachusetts Institute of Technology, in supporting their nomination for the Tyler Prize. The importance of Drs. Dansgaard, Oeschger, and Lorius’ research extends far beyond the scientific community and has had a profound impact in the environmental policy making arena. Stephen H. Schneider, former Head of Interdisciplinary Climate Systems at the National Center for Atmospheric Research, observed, “While they have not themselves participated in environmental advocacy or policy analysis, their fundamental scientific contributions are frequently used by those interested in policy implications… to build the credibility of scientific understanding needed for environmental action in the are of global warming and global change. Willi Dansgaard, Professor Emeritus of Geophysics at the University of Copenhagen, was the first paleoclimatologist to demonstrate that measurements of the trace isotopes oxygen-18 and deuterium (heavy hydrogen) in accumulated glacier ice could be used as an indicator of climate and atmospheric environment as derived from samples of successive layers of polar ice, often collected under extreme weather conditions. The first polar deep ice core drilling expedition took place in 1966, with the collection of the American Camp Century Core from Greenland. In cooperation with other laboratories, Dr. Dansgaard and his group performed the first isotopic analysis of the ice and perfected the methods to date the ice sheets and measure acidity and dust records, thus demonstrating its value as an environmental indicator. Since that time, Dr. Dansgaard has organized or participated in 19 expeditions to the glaciers of Norway, Greenland, and Antarctica. Dr. Dansgaard is a member of the Royal Danish Academy of Science and Letters, the Royal Swedish Academy of Sciences, the Icelandic Academy of Sciences, and the Danish Geophysical Society. He is the recipient of the Royal Swedish Academy of Sciences’ Crafoord Prize, the International Glaciological Society’s Seligman Crystal, and the royal Swedish Society of Geography and Anthropology’s Vega medal. Claude Lorius, chairman, French Institute of Polar Research and Technology (Grenoble) has participated in 17 polar field campaigns, with a cumulative total of 5 years spent in some of the coldest spots on the planet. He was the first to appreciate the value of the air bubbles trapped in the ice sheets and developed methods to determine the atmospheric pressure at the time of ice formation thus providing insight to the original thickness of the ice. He played a significant role in promoting international cooperation in polar ice research. Foremost among these efforts was the successful collaboration between Soviet, American, and French scientists in the recovery and analysis of the longest ice core drilled to date. The information obtained from the Vostok Core, collected in East Antarctica, is exceptional because it provides the first continuous ice record of the drastic swings in global climate over the last 150,000 years extending from the present interglacial (or warming) period through about 100,000 years of glacial cooling, then on through the previous interglacial episode and into the tail of another glaciation. The drilling has now reached a depth of 3,100 meters which will allow scientists to extend the time scale to about 400,000 years. Data from the analysis of the Vostok Core by Dr. Lorius and his team are stunning and include detailed records of air temperature, methane, carbon dioxide, and aerosols, to name but four climate system properties that this record has faithfully preserved. Of particular interest has been the reconstruction of atmospheric carbon dioxide and methane variations during the last climatic cycles which shows a strong relationship between climate and the chemical composition of the atmosphere (in particular the concentration of greenhouse gases.) This data provides a strong warning signal about the possible impact of human activities on climate. Dr. Lorius was born on February 27, 1932 in Besancon, France. He received a masters and doctorate degree in Physical Sciences from the Sorbonne University in Paris. Dr. Lorius began his scientific career in 1955 as a researcher on the Antarctic Committee for the International Geophysical Year at the National Center for Scientific Research (CNRS). Dr. Lorius is a member of the French and Russian Academies of Sciences and among his numerous awards and honors are the Chevalier of the Legion of Honor and the Italgas Prize. Hans Oeschger, Professor Emeritus of Physics, University of Bern, Switzerland, is the pioneer of gas composition measurements on polar ice. A physicist by training, he developed numerous methods for extracting data from sequential layers of polar ice, thus demonstrating the wealth of geochemical information present in the ice archive. Dr. Oeschger and his colleagues developed techniques for measuring radiocarbon on very small samples of carbon dioxide, oxygen isotopes, and the radiocarbon dating of ice. Their measurement of carbon dioxide concentrations from air bubbles trapped in ice revealed for the first time the important role that the world’s oceans play in influencing global climate. Thus, it is now widely held that it is ocean-influenced changes in the levels of atmospheric gases that support the creation of the great glacial ice caps. Dr. Oeschger began his work on isotopes and greenhouse gases around the same time as Dr. Dansgaard initiated his studies. Their combined work documented that abrupt climate swings are associated with changes in atmospheric greenhouse gases. The paradigm has come to be known as “Dansgaard-Oeschger events,” the study of which has led to profound insights about the response of the present-day climate system to man’s activities. 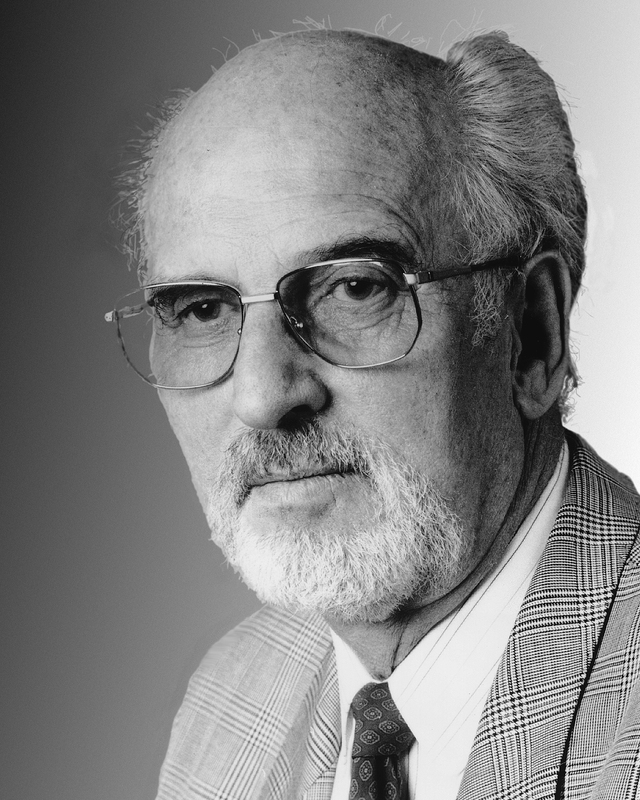 Dr. Oeschger was born on April 2, 1927 in Ottenbach, Switzerland. 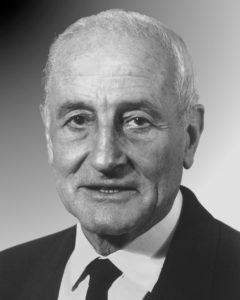 He earned a doctor of science degree from the University of Bern in 1955 and has been associated with that institution since that time as a researcher and professor. He became professor emeritus in 1992. Dr. Oeschger is a member of a number of scientific academies and honor societies including the National Academy of Sciences, Swiss Academy of the Technical Sciences, and the Swiss Academy of Natural Sciences. Past honors include the Harold C. Urey Medal from the European Association of Geochemistry and the Seligman Crystal from the International Glaciological Society.